Over the years, Japan has brought us so many products never occur to us we might need (Banana holder, noodle cooler). They even had a word for it, chindogu. The next on deck is another device by Panasonic, the MS-DS100 shoe deodorizer. I would say it is a slight upgrade from its predecessor the deodorizing hanger Nanoe-X MS-DH100. It’s no surprise the $176 hanger advertised to remove odor from your clothes is not putting laundry stores out of business. It currently holds a one-star review from a poor lone buyer. We are going to make a bold prediction that the MS-DS100 will do better because it might solve a real problem. 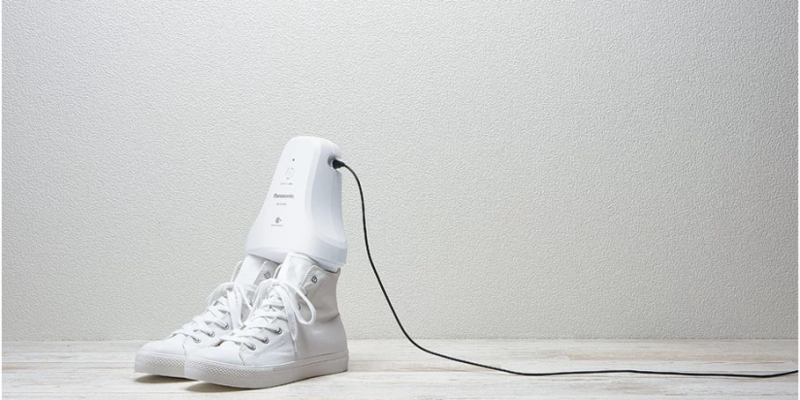 Panasonic said the shoe deodorizer will come out in Japan in September 2018, by then you will probably able to buy them online everywhere else. The shoe deodorizer uses the same technology as the deodorizing hanger. 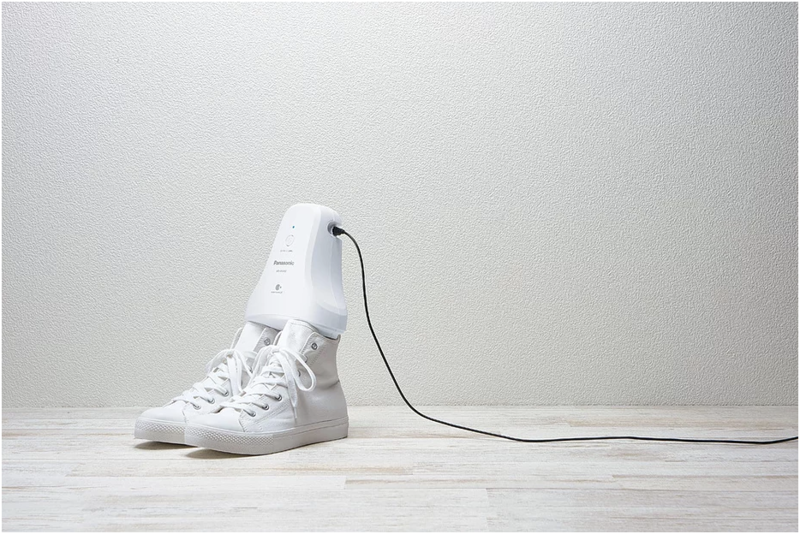 The device blasts hydroxyl (OH) radicals through 6 outlets and covers the shoes from tip to toe. The device can be connected to a power outlet, and it also functions with batteries. Panasonic said it will remove the odor in 5 hours, or if your shoes really stink, you can choose the 7 hour-mode for a more throughout clean. It is unclear how much the device will cost until Panasonic actually releases it, but it looks like it will be the same price range of the deodorizing hanger.